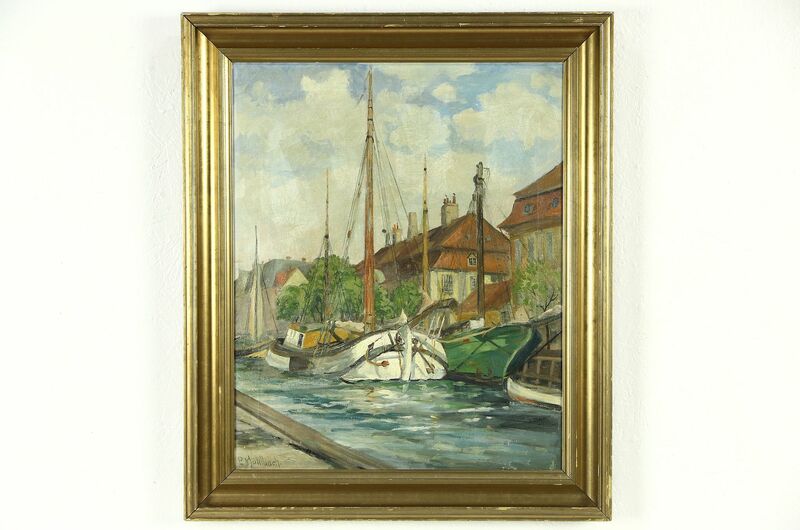 An original oil painting of fishing boats on a river in Germany from the 1930's is signed, "P. Muhlbach." The undamaged canvas has soft colors under a cloudy sky. In the sky are some streaks that we have not attempted to remove, see photos. There are minor mars to the original genuine gold leaf frame. Measurements of this work of art are 23" x 28" and 2" deep.